Do you want to learn to appliqué perfect circles the easy way? Use that circle cutter that’s gathering dust! 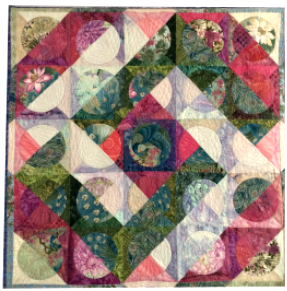 In this class we will design a wall quilt using small and large print fabric, light, medium and darks as backgrounds to create the illusion of movement. Fat quarter or layer cake friendly.